Steelhead are simply a fantastic adversary to chase with a fly. Particularly so with the two-handed rod and a swung fly. 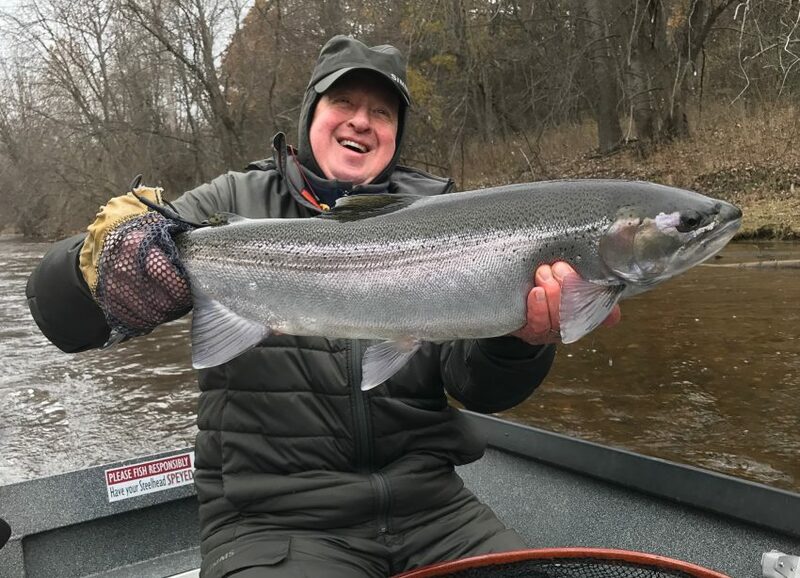 Yesterday as massive arctic front plowed through the Muskegon River region and at times had you guessing whether you actually were swinging your fly past a steelhead. It was SLOW! Today the same runs found the fish happy and eager to grab the fly on the way past. Sure, it was awesome to have great day of fishing, but think about it, how awesome are these fish that we chase? 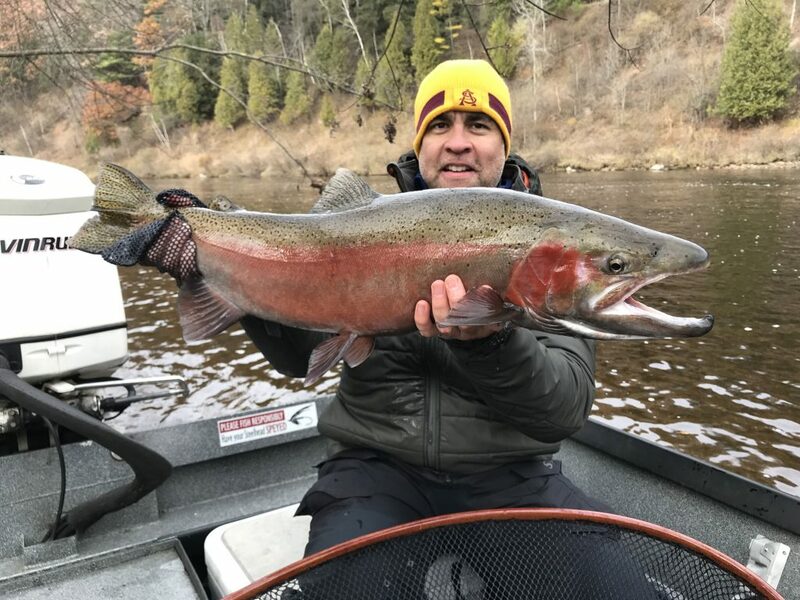 Each and every-time you have the chance to connect with one of these beautiful steelhead is special and earned, and earning it is why we love them so! Pictured above is Ben with his personal best on the two-hander. Ken is pictured below with a bright hen steelhead from this afternoon.